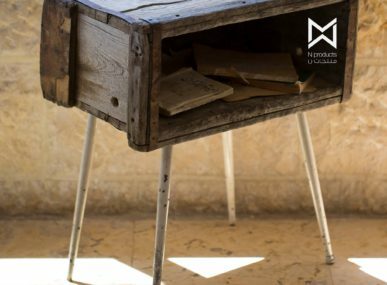 Recycled trash is taking on many new guises in Cairo these days, courtesy of sustainable furniture designer CAN Interiors. The company has fashioned discarded junk into modern divans, wall cladding materials and the ingenious Brainstormers Wall — a whiteboard made out of electronic waste. Even the briefest visitor can attest to the mountains of garbage piled up around Cairo’s labyrinthian streets. Efforts do exist to curb the rising tide of trash — the government recently introduced a recycling rebate program, while thousands of informal trash pickers have long roamed Cairo’s neighborhoods to recycle rubbish for profit. Even so, a 2015 World Bank report found that Cairo produces around 15,000 tonnes of solid waste every day, of which only 65 percent ever gets collected. Enterprises like CAN Interiors promise to make a dent in that abandoned third of Cairene rubbish. 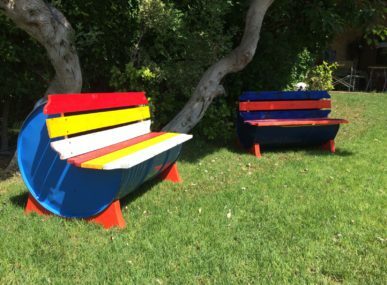 CAN Interiors aims to produce lines of furniture from salvaged trash, bringing profits to the business and awareness about recycling to the community. CAN Interiors’ business model has been streamlined so that the company handles design and outsources manufacturing to local workshops. 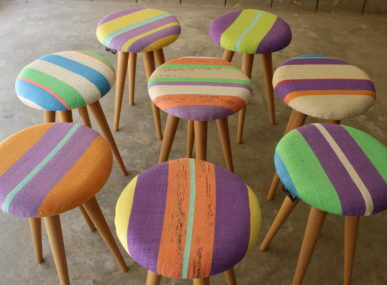 Seoudi traces her passion for recycling back to college, where she majored in product design. “For me, the most interesting topic [at university] was how to make a variety of fields and industries in Egypt more sustainable,” she says. CAN Interiors must still overcome challenges related to online marketing and sourcing quality materials. “We have had our ups and downs,” said Seoudi. Nevertheless, the owners remain resolute in their ambition to cut down Egypt’s trash heaps. For instance, CAN Interiors is exploring options to update its website and social media presence. These online platforms could prove vital to achieving CAN Interiors’ overarching mission, which is to make environmentalism more prominent in Egypt. “We need to put the idea out there [with our furniture] that, whatever action we take, we have a green decision to make,” Seoudi said. Learn more about CAN Interiors through Facebook.